#ARTifacts - September 2017. Abstract Detail. A detail section of this painting becomes abstracted. 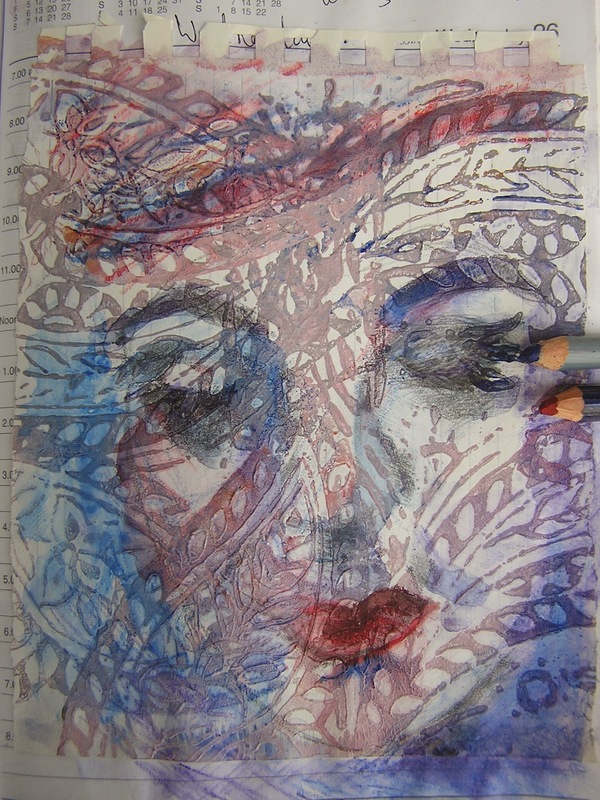 Photo image transfer & collage with some colour added with watercolour pencils. Experimenting with rusty objects on calico. #ARTifacts art journal page for April 2017. Why do cats come from nowhere when you put something on the floor & want to sit on it? #ARTifacts - March, Rust & Cactus. #ARTifacts art journal page for March, collage mixed media. Learning to paint Cactus in acrylic on canvas. Just some of the arty things I tried in March. Inspired by everything around us. Recycling pre-loved garments, materials, products to produce unusual arty/crafty items that we love and want to share. All items are handsewn and hand printed making every item special and unique. So please browse our posts and feel free to add comments and contact us.